Take the A1 southbound until junction 34 (Blyth) and turn left on the A614 towards Bawtry. At Bawtry, turn right at the traffic lights along the A631 to Gainsborough. On approaching the town, cross the bridge and go through one set of traffic lights, at the Thorndike roundabout take the first exit onto Trinity Street, through the traffic lights on to Beaumont Street and Marshall’s Yard will be on your right. Turn right into Spring Gardens to access the car park. Take A1 Northbound to junction with A46 Lincoln road. Follow A46 to traffic island signposted Gainsborough A1133 follow road crossing A57 to junction with main A158 and follow this road into Gainsborough. Follow the signs for the Town Centre. At the Thorndike roundabout take the second exit on to Trinity Street on to Bridge Street, through the traffic lights on to Beaumont Street and Marshall’s Yard will be on your right. Turn right into Spring Gardens to access the car park. Take M62 East to junction 35. Join M18 Southbound to junction 5. Join M180 Eastbound to junction 2 Join A161 Southbound to junction with A631 at Beckingham. On approaching the town, cross the bridge and go through one set of traffic lights, at the Thorndike roundabout take the first exit on to Trinity Street, through the traffic lights on to Beaumont Street and Marshall’s Yard will be on your right. Turn right into Spring Gardens to access the car park. Follow A631 signposted to Gainsborough, follow directions to Gainborough town centre. At the Thorndike roundabout take the third exit on to Trinity Street, through the traffic lights on to Beaumont Street, and Marshall's Yard will be on your right. Turn right into Spring Gardens to access the car park. These are our standard office hours, but we do run some courses in the evenings and on weekends – see the course calendar for more details. The centre is on the first floor of 11-23 Market Street, Gainsborough. The entrance is behind Santander Bank – in the walkway through to Roseway car park. Market Street is a one way street, accessible from Beaumont Street. There is a drop off bay outside the entrance. We provide a relaxed and friendly environment to all ages and have full disabled access and facilities. Roseway car park is currently closed due to building works. 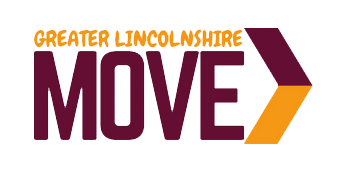 Alternative parking can be found at Lidl, on Beaumont Street (Free, 90 minute limit), Marshall's Yard (£1 for 4 hours, with a 4 hour limit), or council run car parks on Lord Street, Caskgate Street and North Street. 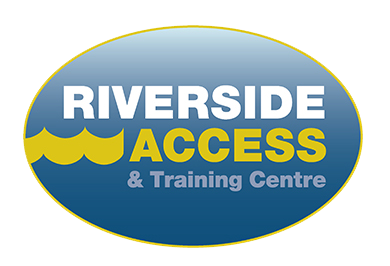 Riverside Training is well served by bus routes which either pass by the centre or terminate in Gainsborough bus station just a few minutes walk away.